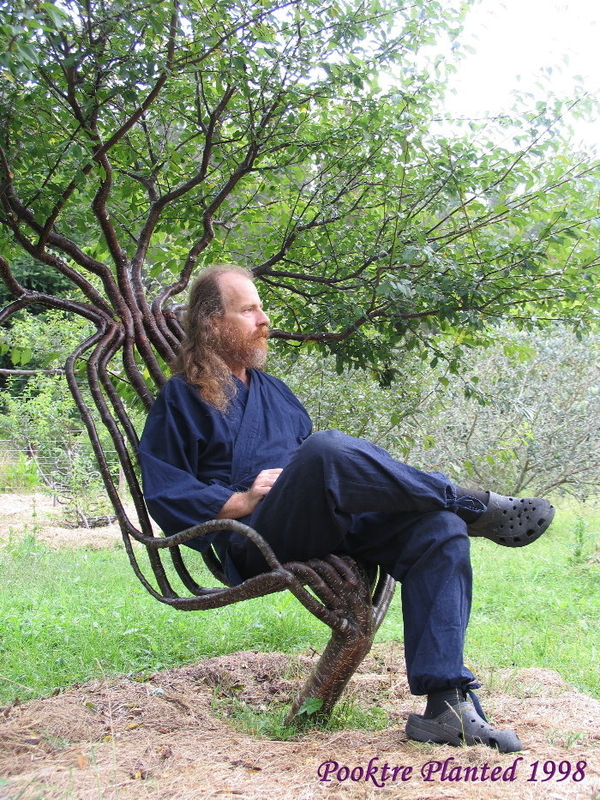 In 1987 Peter had the idea of growing a chair. In 1995 Peter and Becky became life partners. One year later Pooktre was born. 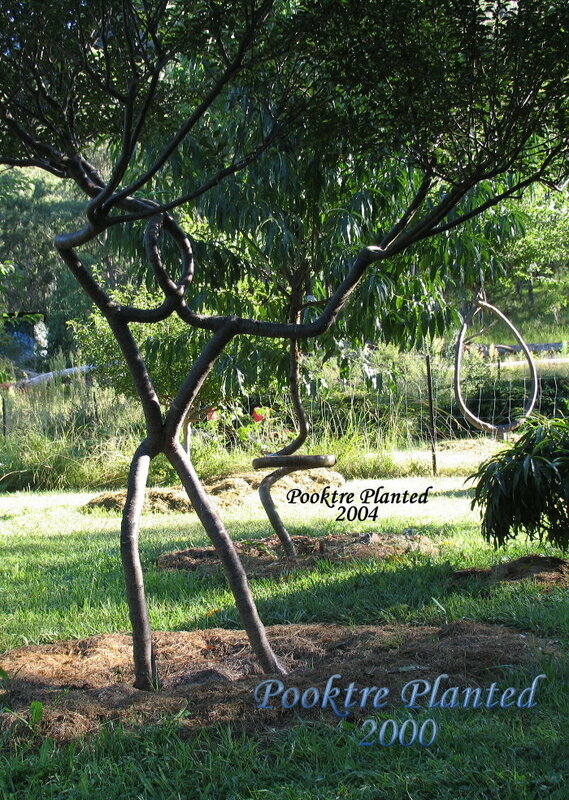 Together they have mastered the art of Tree shaping. 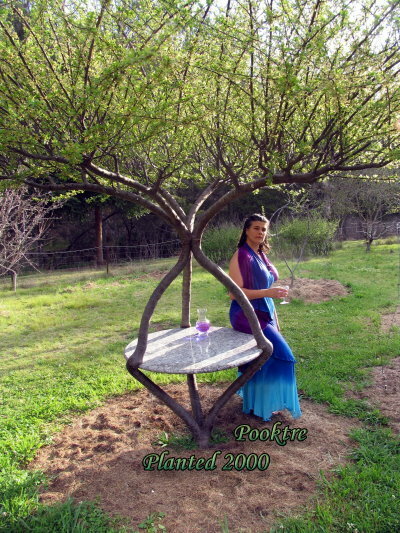 Pooktre has perfected a Gradual shaping method, which is the shaping of trees as they grow along predetermined designs. 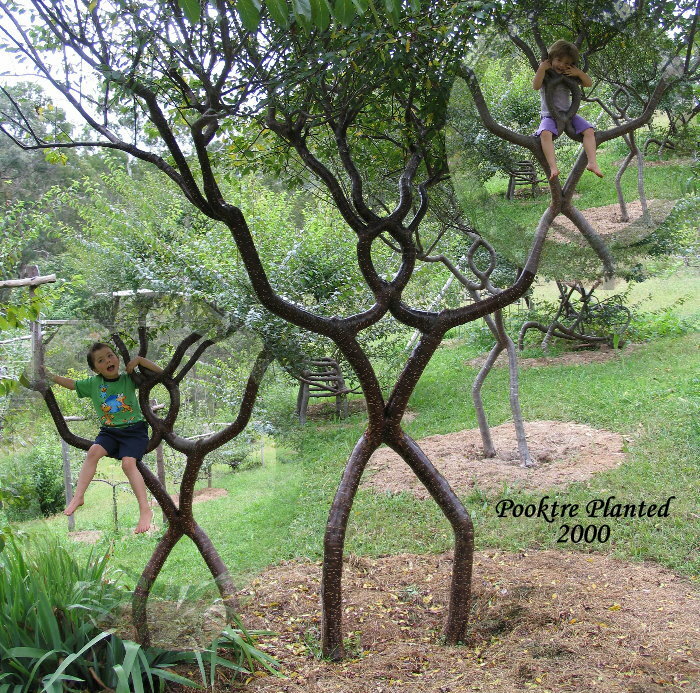 Designing and setting up the supporting framework are fundamental to the success of a tree. Some are intended for harvest to be high quality indoor furniture and others will remain living art. Entry filed under: Garden Art.